Let Grand Street be the venue for your next private party, corporate meeting, or special banquet event. 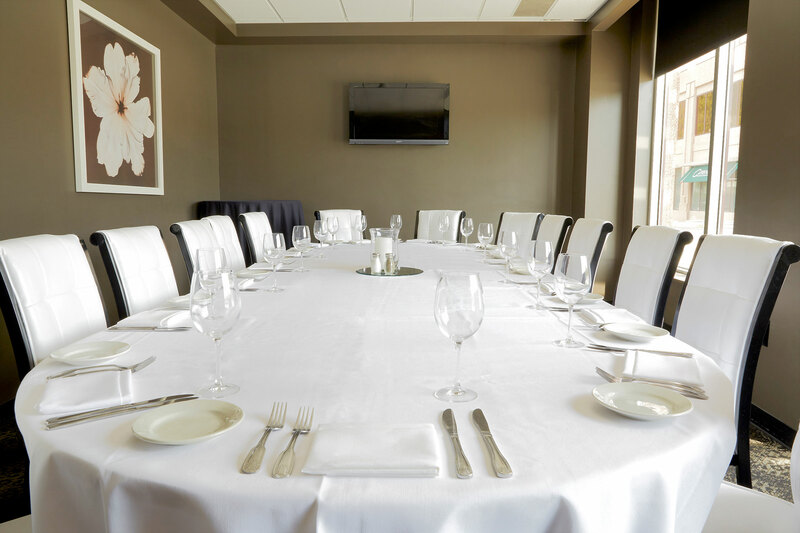 Our expert chefs will ensure your experience is unforgettable and exceeds all expectations.Our two private dining rooms offer Plaza views and can accommodate 16 to 22 guests. 60″ flat screen TV, HDMI and VGA cables provided. Apple users may need to bring an adaptor. 42″ flat screen TV, HDMI and VGA cables provided. Apple users may need to bring an adaptor. Call to reserve your desired private dinning room.